When Stevie Stone arrived at Strange Music, he had all the experience of a veteran. That’s because prior to his signing, Stevie Stone had already lived through a record deal and had toured the country on Tech N9ne’s K.O.D. Tour. So when the Midwest native finally inked with the independent powerhouse, he hit the ground running. The Snake and Bat charm signified a new chapter for Stevie Stone which would give way to the recent release of his Strange Music debut, Rollin’ Stone. 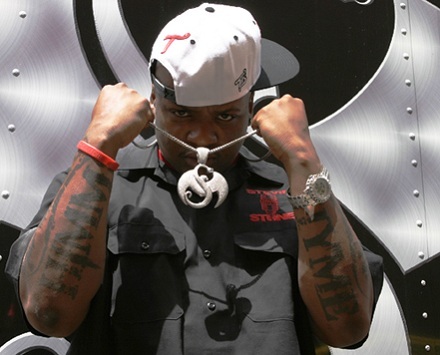 Do you remember seeing Stevie Stone receive his chain?